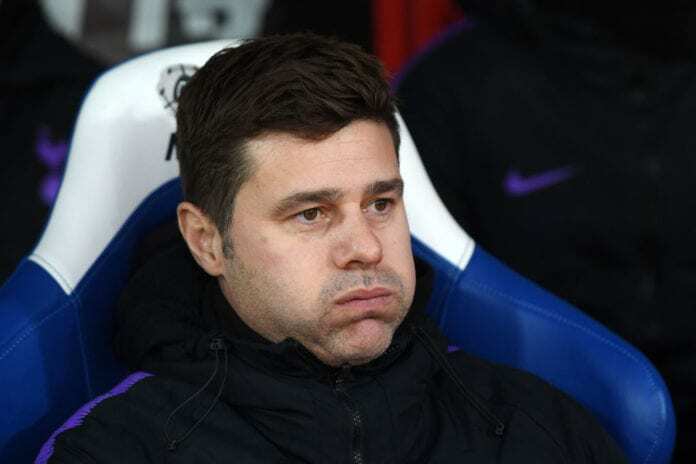 Mauricio Pochettino is overwhelmed by Tottenham’s struggles this season after seeing his side knocked out of two cup competitions in the space of four days. Spurs penalty shoot-out defeat to Chelsea in the EFL Cup semi-finals was followed up with a 2-0 defeat in the FA Cup fourth round at Crystal Palace on Sunday. Pochettino made eight changes to his side, with only Paulo Gazzaniga, Jan Vertonghen and Fernando Llorente retained from the side that lost to Chelsea. But goals from Connor Wickham and former Spurs winger Andros Townsend wrapped up the win for the Eagles, meaning the only hope for silverware lies in the Champions League and the Premier League. And manager Pochettino offered no excuses for his side’s below-par performance. “It was a fair result,” Pochettino told reporters via FourFourTwo. “They scored and we didn’t. I can’t say anything about that. Pochettino said: “We came from a crazy fixture schedule and we were forced to make some changes. This season is tough and it’s going to be a massive challenge for us. “We knew it would be a tough season for us but not as tough as it has been.